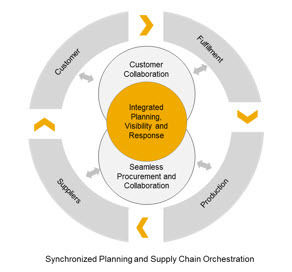 Continuing our discussion from the previous blog Part I – Advance your supply chain maturity: transform to orchestrate supply chain in real time, let’s now examine the capabilities required to support the transformation and how SAP enables them. Digitize supply chain with connected everything to take orchestration to the next level. 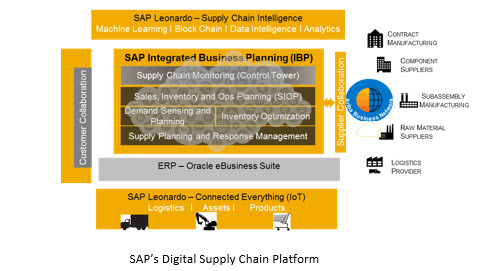 SAP provides the most innovative, comprehensive and integrated digital platform to achieve highest level of supply chain maturity in the industry, that is ability to orchestrate supply chain in real-time. This platform is built using latest technology advancements to deliver leading-edge supply chain processes and has a roadmap that will help you stay ahead of market inflection points. Planning and execution convergence – manage business risks and take advantage of market opportunities by dynamically aligning operations plans through an integrated planning and execution. Continuous and iterative supply chain planning – advanced algorithms to optimize demand, supply and inventory in an integrated environment. Agile response – use power of real-time and in-memory platform for on the fly simulate, scenario building and what-if analysis with ability to collaborate internally and externally. Digital Supply Chain with connected everything. Orchestrate supply chain in real-time. Deploy new digital business models.